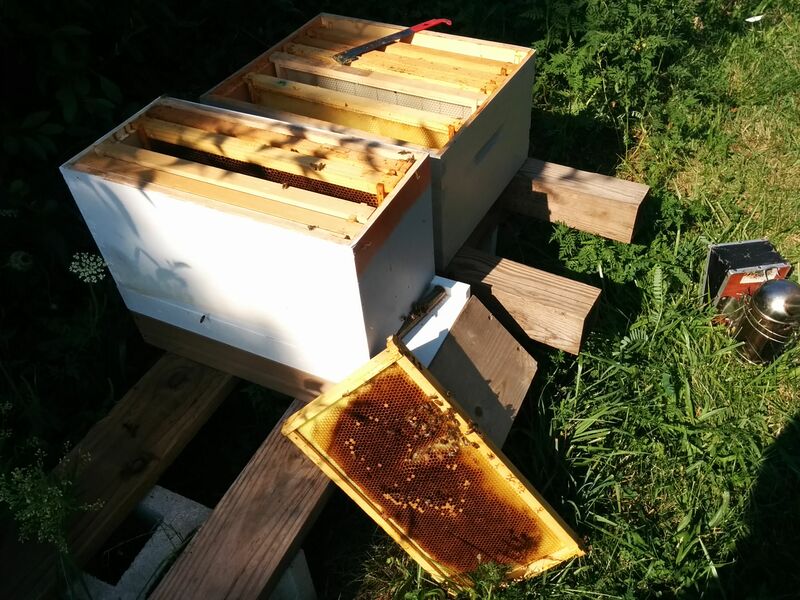 I haven’t inspected my hives in about six weeks. 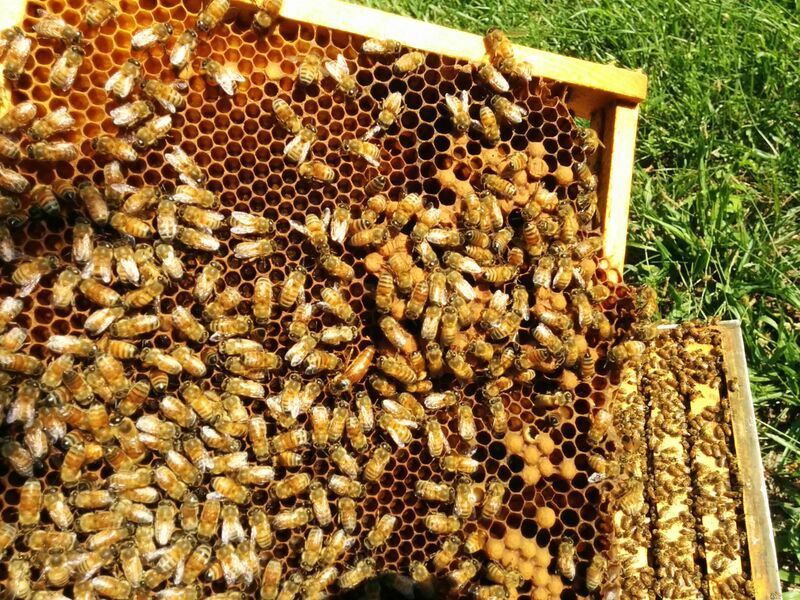 Primarily I have been looking forward to solving the mystery of the blue marked queens. The mystery may not be entirely solved, but I do have a few answers. It turns out that the queen that KZ and I marked with my new blue paint pen, and that I was worried I had killed, is alive and doing well in hive 1 after all. 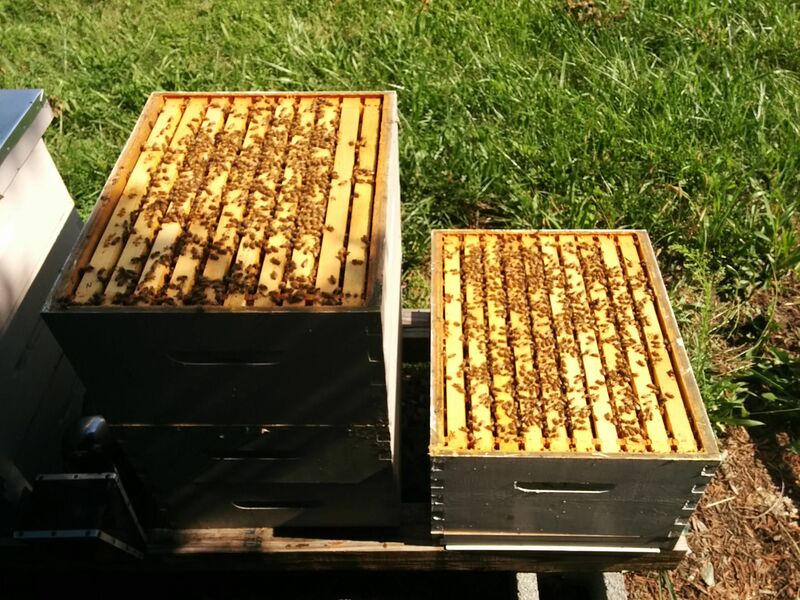 I found her in the second frame in the top brood box that I looked at, which was lucky and saved me some time. 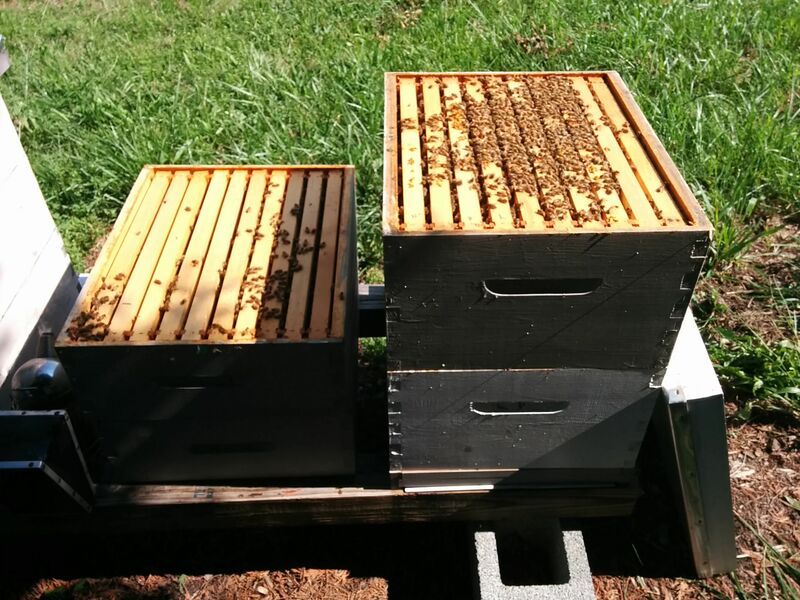 I saw lots of capped brood and also some uncapped brood in all stages. I even saw the queen lay an egg. 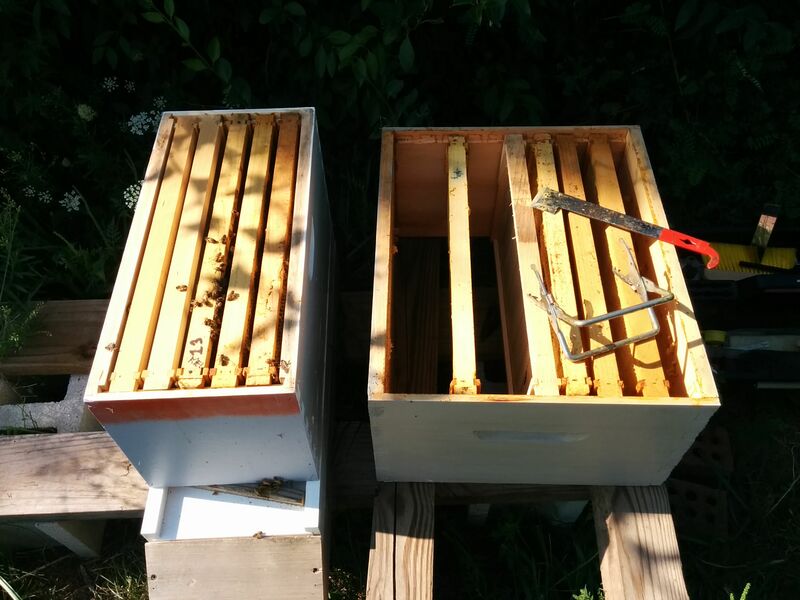 I felt as though the top brood box was busier than the bottom, so I switched them. 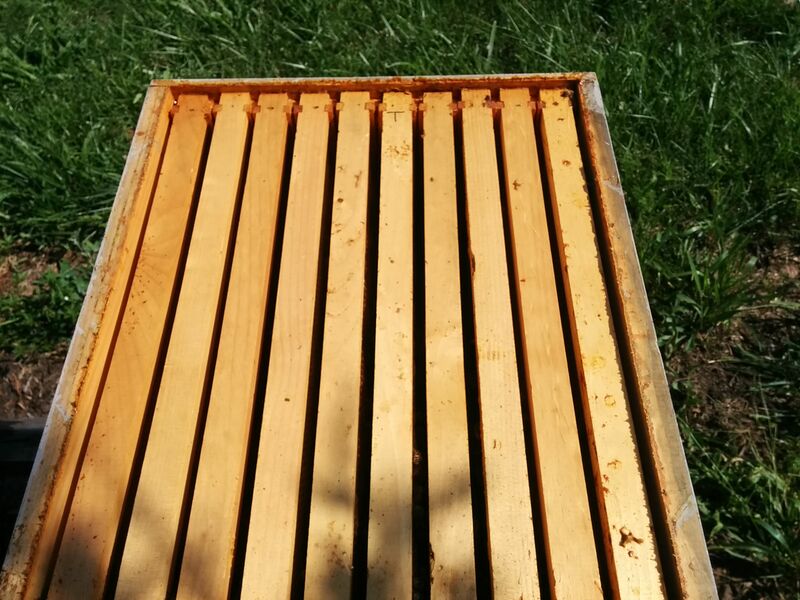 The hope is that, she will build up the bottom box for a while and maybe store some honey in the top. I have not been feeding, but the number look pretty good. 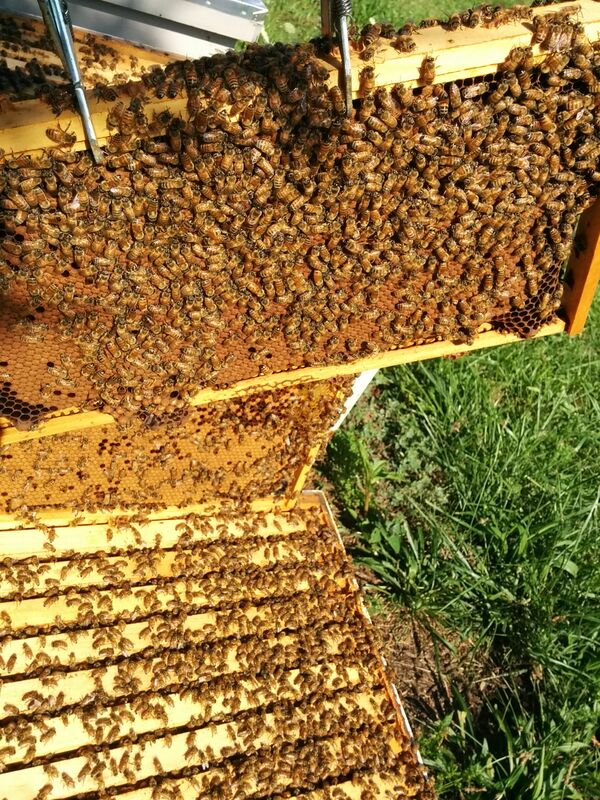 My thought was to reduce the numbers slightly in August and September, but have the queen start laying more in Sep and Oct to produce a large batch of winter bees. I guess I will start feeding in Sep. 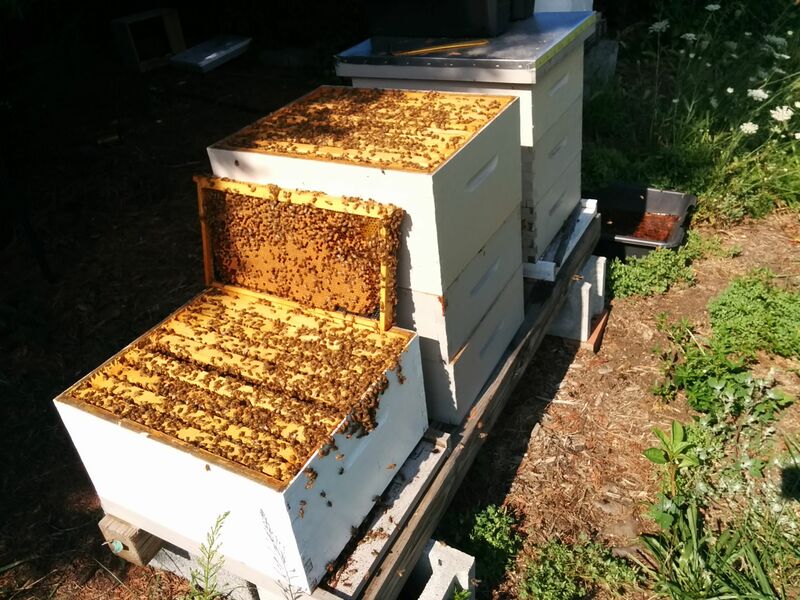 I also put a queen excluder on the top brood box, with the goal of removing one or both of the supers in the fall. 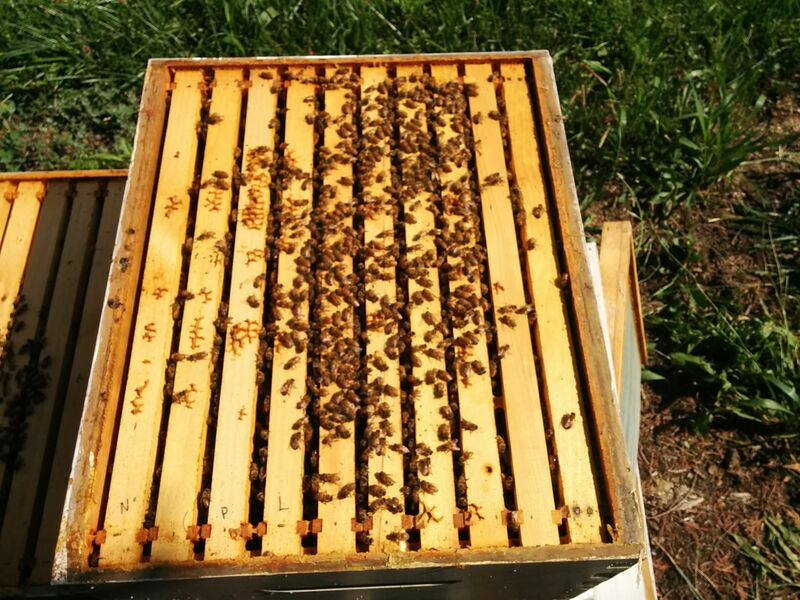 So what of the blue marked queen that appeared in nuc/hive 5? 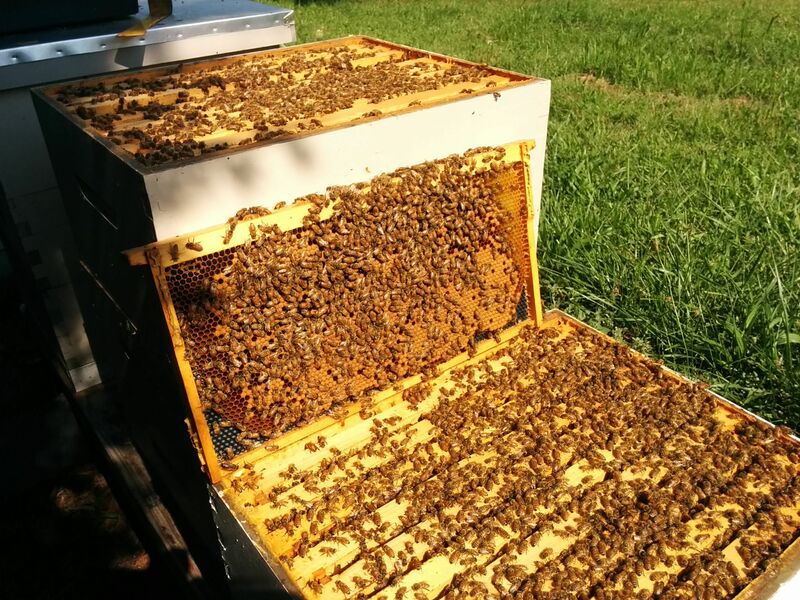 Well, for one, she is gone now and the hive is almost empty – just a handful of bees left. I don’t know where that queen came from or why she is now gone. Easy come – easy go. I had originally imagined that the blue queen from hive 1 had somehow migrated to hive 5, but that didn’t really make any sense and, in fact, didn’t happen. Order has been returned to the universe.